This range is formulated with NutriumMoisture™ and DEFI (Directly Esterified Fatty Isethionate) that replenishes facial skin with moisture and nutrients that are lost during the cleansing process, leaving the skin feel bouncy and happy. NutriumMoisture™, a first-of-its kind technology, addresses the needs of both proteins and lipids by repairing cleansing damage and restoring skin’s natural moisture. The formulation comprises of sodium lauroyl isethionate, a mild cleanser that reduces protein and lipid damage to skin and skin-compatible natural moisturizers, including stearic acid and glycerine that fully absorbs into skin to replenish lipids lost during cleansing. 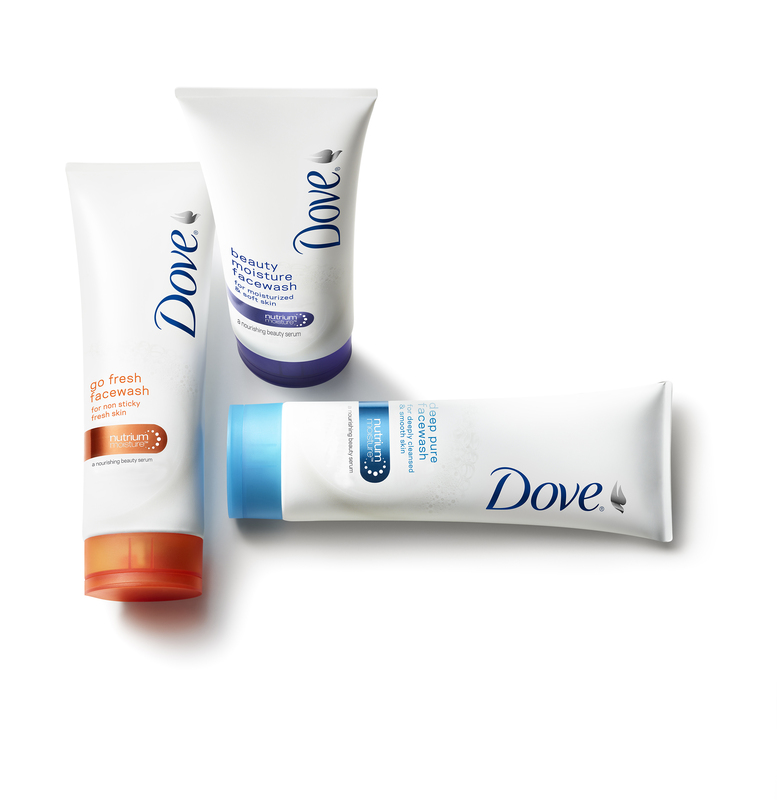 The new Dove Facial Cleansers range caters to all skin types and needs. All contain NutriumMoisture™, which acts as a unique, intense beauty serum by making the skin feel bouncy and happy. This new range comprises of three exciting variants and is available for Rs. 90 (50 g) and Rs 165 (100 g) at your nearest retail outlets. Note : Press Note sent by band PR. One of its kind range specially formulated to help bring split ends together. New Dove Split Ends Rescue System with moisturizing milk that nourishes your hair and its breakthrough split-end technology brings your split-ends together to give you 4x less split-ends. With Dove, get beautiful hair from end to end. Every woman dreams of beautiful, gorgeous hair and while we do everything to keep it nourished, the ends sometimes tell a different story. Damaged hair or rough ends can lead to split-ends and is one of the most common problems that Indian women experience. Excessive combing, styling and daily exposure to environmental factors can leave hair at the tips feeling dry and brittle. As hair grows, the natural protective oils of the scalp fail to reach the hair ends. Hence, they may appear thicker at the crown as compared to the tips. As the length of your hair increases, the tips of your hair become more prone to damaged. 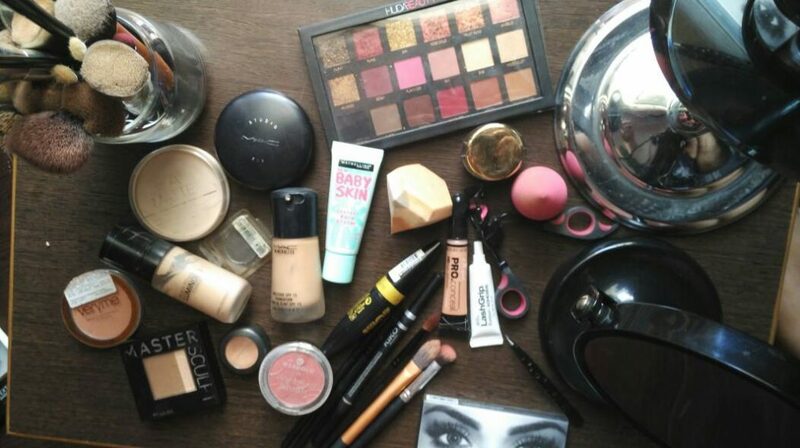 This along with exposure to the sun and excessive heat from hair dryers and hot irons can result in dry, brittle ends which are prone to splitting. Everyday damage causes splitting or fraying of the hair-shaft leading hair fibers to split into two or three strands and go up to two to three centimeters in length. Result, you may love having long tresses but, split-ends keep you from following your heart. When your hair splits up at the ends, the first thought that comes to your mind is to get a haircut or even manually splitting hair to get rid of the problem. Some of us hide it behind a bun or curl our hair inwards and maybe even hide it behind a stunning hair clip. But we know these tricks don’t really work on the problem of split ends. If the hair feels rough, it can mean you have split ends. To address this common hair concern among women, Dove introduces the new Split End Rescue System, with moisturizing milk that nourishes your hair giving you up to 4x lesser split ends. The breakthrough split-end technology with Fiber active helps bring your split ends together. While ordinary conditioners assure repair, they only coat the surface of the hair shaft and do not penetrate deeper to restore the hair tips. The Dove Damage Solutions range is specially formulated to mend split ends and give you truly beautiful hair from root to tip that allows you to grow your hair at the desired length and try different braiding styles this season. This one of its kind range of shampoo and conditioner repairs split ends ensuring that hair looks beautiful till the ends and letting you opt for a slew of different braid styles from the simple French fishbone braid to the elegant strand braid with a touch of diamanté to perfect the look. 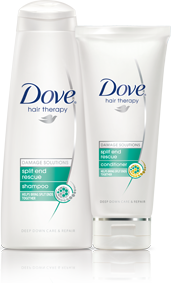 Dove Split Ends Rescue Shampoo is available in 8 ml for Rs. 3, 80ml for Rs. 68, 180 ml for Rs. 132, 340 ml for Rs. 225 and 650 ml for Rs. 349. Dove Split Ends Rescue Conditioner is available in 75 ml for rs. 68 and 170 ml for Rs. 132. Dove Split Ends Rescue System range ensures your hair is beautiful from end to end. Now no more split ends…just beautiful hair! It’s Always a Beautiful Ending with Dove!